Soft, Flexible, High Quality Ribbon, easy to work with. 5/8"” wide, printed with your Names and Wedding date or Your personal message. 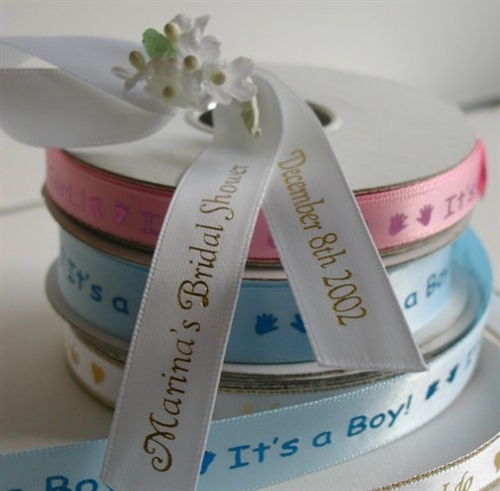 You can order any length of ribbon to make your favor perfect. Ribbon Ships on roll uncut. Cutting charge is optional if precut pieces are desired. Minimum 25 pcs.